As a FamilyLocator.info contributor and also a mother, I take my writing very seriously. My goal is to provide honest reviews and useful articles that help other moms and dads ensure their own family’s safety. Many families have already begun to take safety precautions by establishing family plans, getting together emergency kits and setting up locator services on their mobile devices. This is extremely useful in case of a major catastrophe and an excellent start to family safety and family planning. Most families, however, have not discussed other safety topics such as what to do in an active shooter situation, what to do if there is an intruder in the house or what to do if a stranger attempts to abduct or harm them. All of these topics and many others need to be addressed since there is always a chance that you or your family may encounter evil in the world. Whether your children are at school, at the mall, at the movie theater or even at home, there is a possibility that they will need to fight to defend themselves. Knowledge is power and the best way to prevent a tragedy is to prepare for one.  As a parent, I’ve decided to become a contributor to the FamilyLocator.info site so that I could personally see the pros and cons of all of the services tested here. I wanted to offer other parents honest opinions of products that may benefit their families while also doing research to help my own. I hope you find the information here useful and beneficial to you and your loved ones. If you believe you have similar insight and want to help in this cause, apply to be a contributor by filling out our contact form.